Fog is basically a ground level cloud that occurs when there is too much moisture in the air for the air temperature. Driving in fog can be tricky especially in a country like India where accidents occur every now and then. 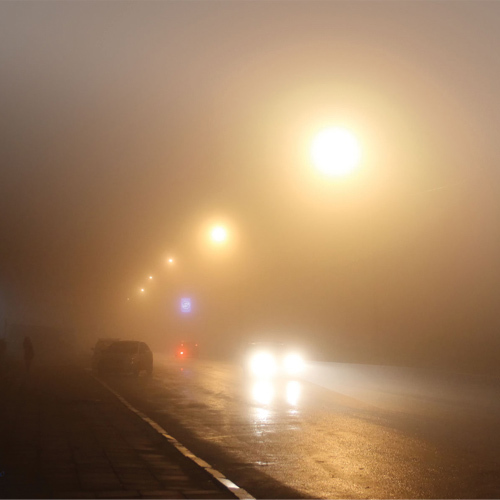 Fog is one of the most dangerous weather hazards that lead to risk of a crash. During dense fog, drivers unknowingly speed up as it creates an optical illusion. The body perceives as you are driving very slow. While most people become nervous in fog, they forget to look down at their speedometer. Driving in the fog is certainly not unheard. Every year multi car piles up in India because of foggy conditions. Here are a few very important tips for safe driving in the fog.